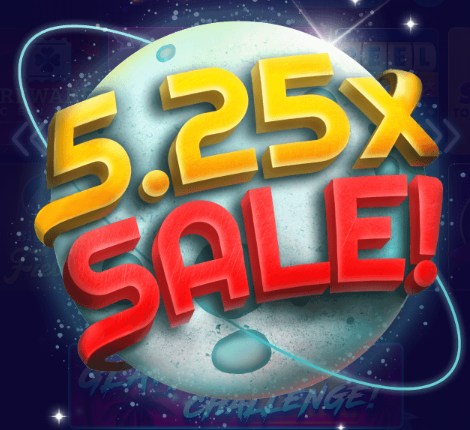 Big Fish Casino is having a 5.25X Sale on chips & gold today. No promo codes are needed: additional chips and gold are already shown in the in-game Shop. This offer is good until 11:59pm Pacific on April 13, 2019.